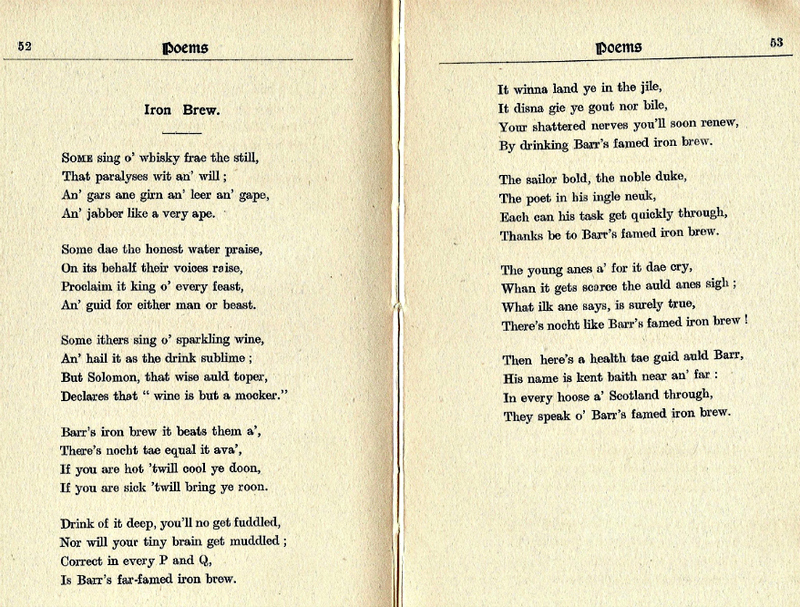 The 'Iron Brew' poem was found in a book called 'Govan Rhymes and Other Poems', bought for £3.99. A recently found book of poems published in 1913 includes an ode to the famous Scottish drink Irn-Bru. The poem - titled 'Iron Brew' how it was originally spelt - is from a book called Govan Rhymes and Other Poems, which was published in 1913. It was written by a man called John Murray, who praised Scotland's other national drink for its ability to get people through all sorts of situations. The book was found by Govan man Colin Quigley, who bought it for a bargain price of £3.99 from an online dealer in Ireland. 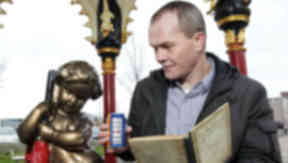 The 43-year-old said: "I collect books about Govan, and I couldn't believe it when I saw it. "It's amazing to think that even 100 years ago people were still passionate about Irn-Bru. "There are other great poems in it, like ones about the annexation of Govan, but the 'Iron Brew' one is still relevant today." Colin also says that he's had offers for the book, but is not selling it. He has, however, given a copy of the poem to AG Barr, the maker of Irn-Bru. Adrian Troy, head of marketing at the Cumbernauld-based firm, said: "The 'Iron Brew' poem is yet another fantastic piece of AG Barr’s rich history. It goes to show that we've been helping people get through for generations."